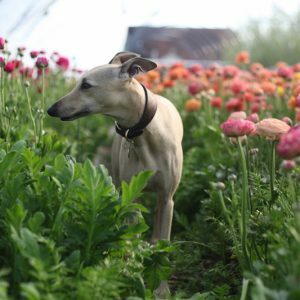 Run by Rachel and her partner Ashley Pearson, the Green and Gorgeous farm has over two acres of flower fields, orchards, and herb and vegetable beds. It is buzzing and singing with life and also home to many happy rare breed hens. It’s a busy and productive place, with plenty of reasons to visit. Our informative floriculture and floristry courses are always popular and sell out quickly to professional growers, gardeners, floral designers or hobbyists keen to expand their knowledge and get practical experience in a thriving garden. When Rachel’s not working in the flower fields, she can often be found in the flower studio, designing and creating bouquets or arrangements for weddings in her naturally elegant signature style. 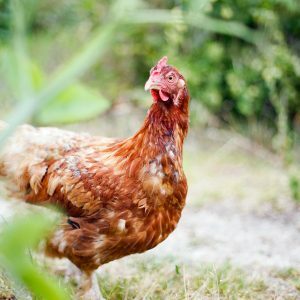 On Saturdays, there’s a chance to catch up with the locals who pop by to pick up some freshly harvested flowers, fruit, vegetables, and free range eggs from the farm gate. THE ART OF CULTIVATING FLOWERS…. Rachel Siegfried’s idea for Green and Gorgeous began germinating long ago, while she was working in an 18th century walled garden in the Cotswolds. Tending the cut flowers, Rachel became aware that the natural beauty and scent that surrounded her was missing from the commercially grown offerings available on the high street. 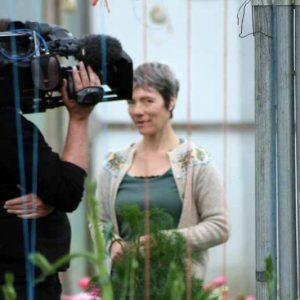 Using her love and knowledge of cultivating flowers, and driven by a core belief in growing sustainably, Rachel decided to bring the beauty of an English garden to the world of cut flowers. In 2008, in the heart of the beautiful Oxfordshire countryside, she planted the first seeds in the Green and Gorgeous garden. The business flourished. Ten years on and we now have a wealth of hard-earned knowledge and skills to draw on. We know the whims and fancies of every flower, and go to great lengths to coax the very best blooms and scents from each plant. With the creative freedom to cultivate our own palette we can create wild and wonderful floral designs that showcase the true personality and beauty of each flower. We are indebted to our many volunteers and staff who come and help us keep the show on the road.